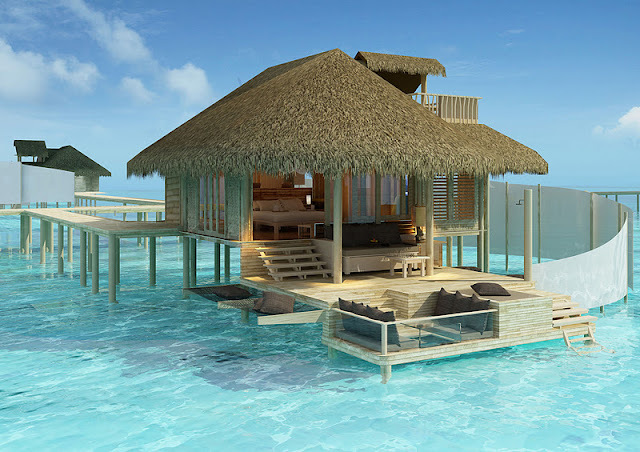 Poised serenely over majestic turquoise waters, a palm fringed villa with sea suspended hammocks, padded day beds, and dining above a window of bright lagoon, awaits you at the Six Senses Resort in Laamu, Maldives. 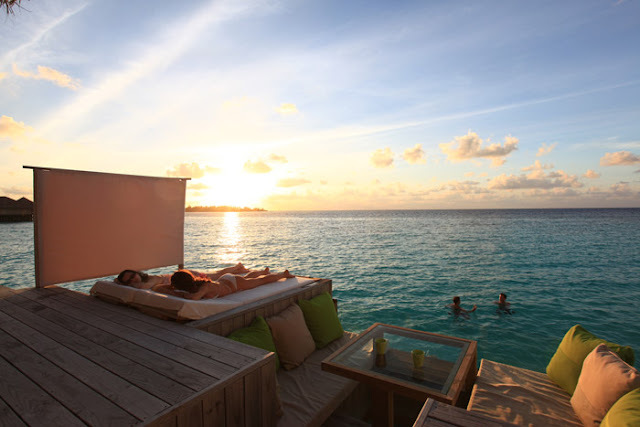 Built from sustainable materials, these unvarnished beachfront and overwater villas offer a chic picture of paradise. 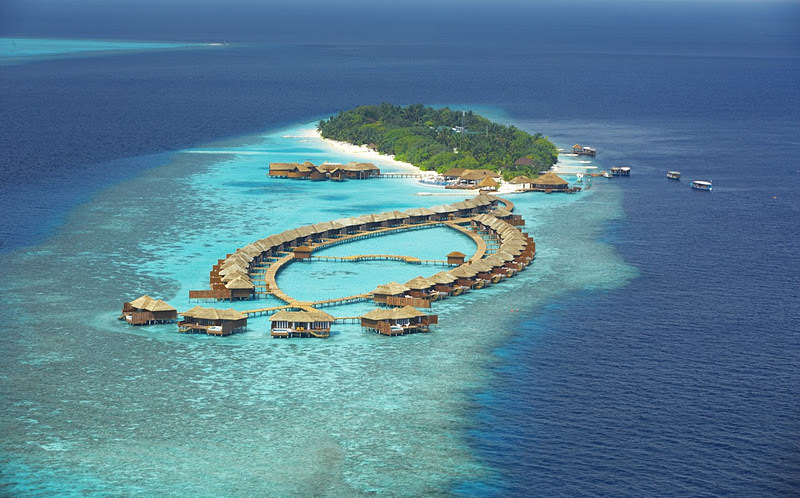 Six waterside and over ocean lounges and restaurants provide food grown in the island’s organic garden, for hungry guests spending days sun lounging, snorkeling around Laamu’s house reef, and dolphin and turtle watching. 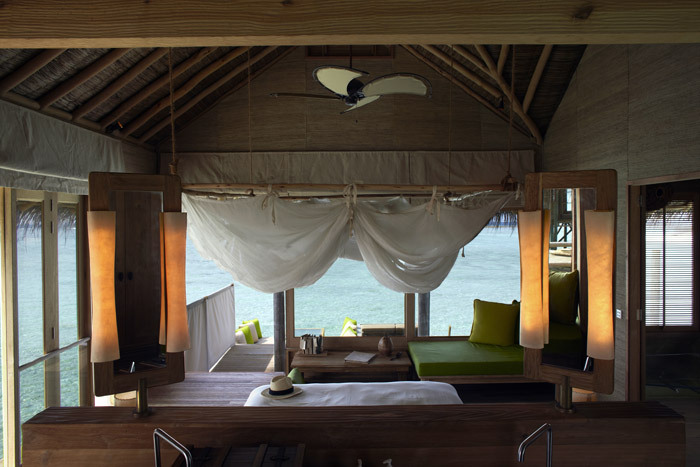 Connected by beautifully weathered wooden jetties, and secluded by bamboo enclosures, the retreats are airy with high ceilings, and open air bathing alongside a private water garden. 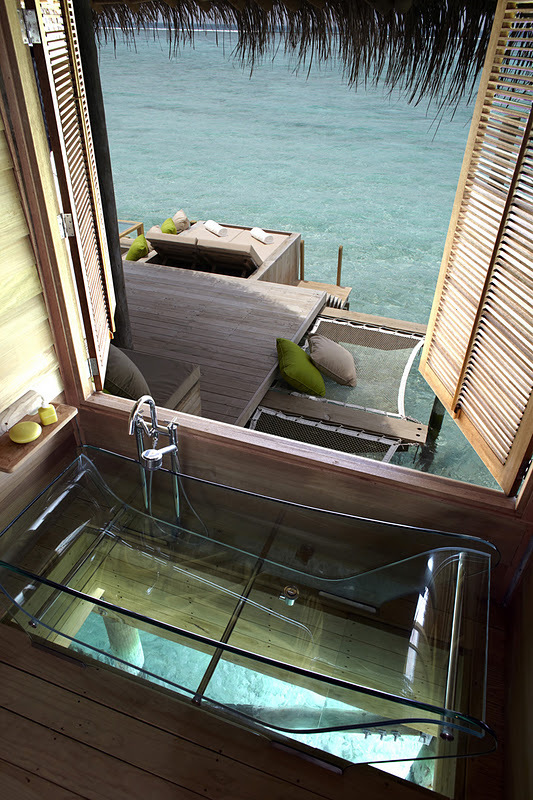 An all glass bathtub is suspended above the sparkling Indian Ocean, allowing you to soak up more of paradise. 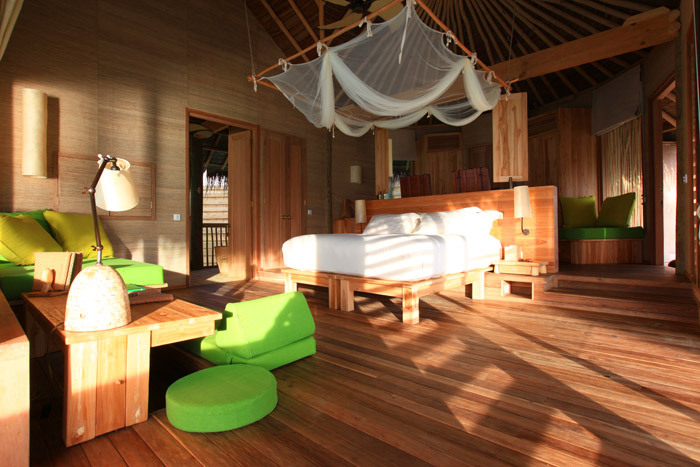 Up on a treetop deck, panoramic views of seascape and an unobstructed sunset are a feast for the eyes, and the soul. 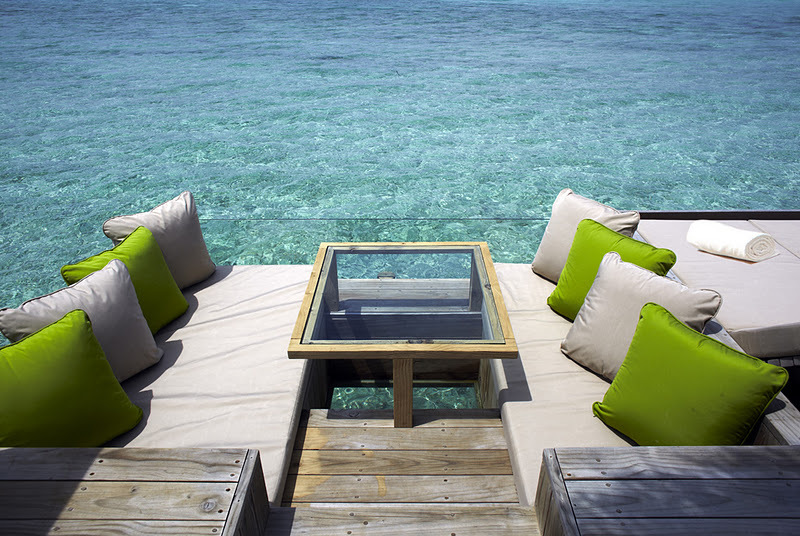 With transparent sides and cut away floors, the villas are designed to immerse in the sensational views. 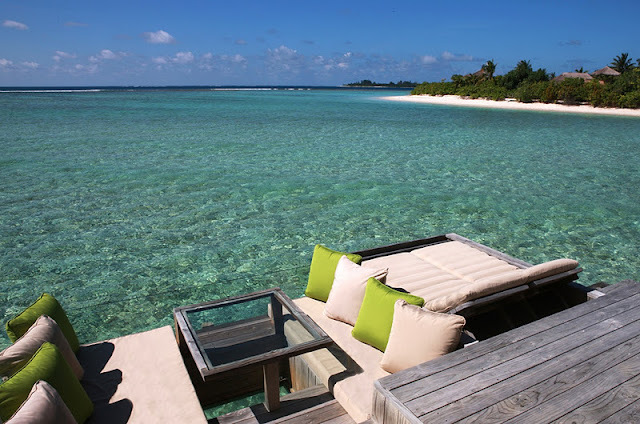 The hut like appearance lets us drift away into a fantasy of simple island living, but there is no denying the superb finish of this amazing resort; bespoke furniture, sleek fittings, and luxurious bedding offer indulgence on the highest scale. 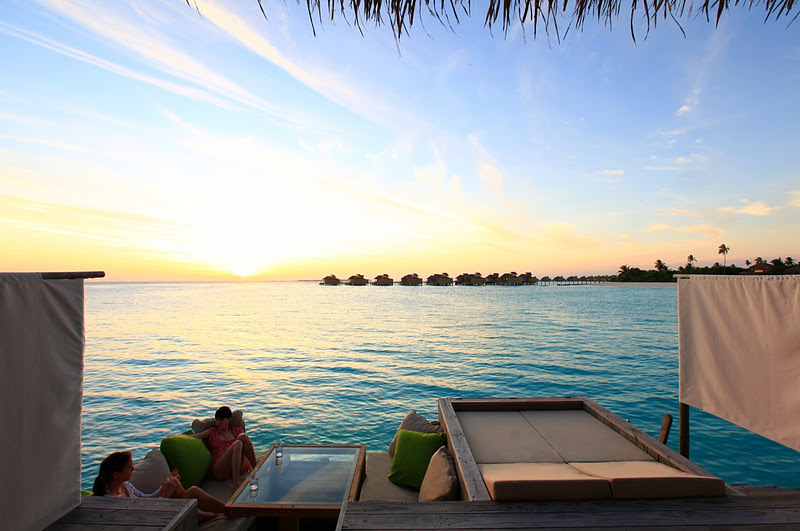 Could this be one of the most beautiful places on Earth? We think so.